Yes, stop what you’re doing, this recipe is the real deal! 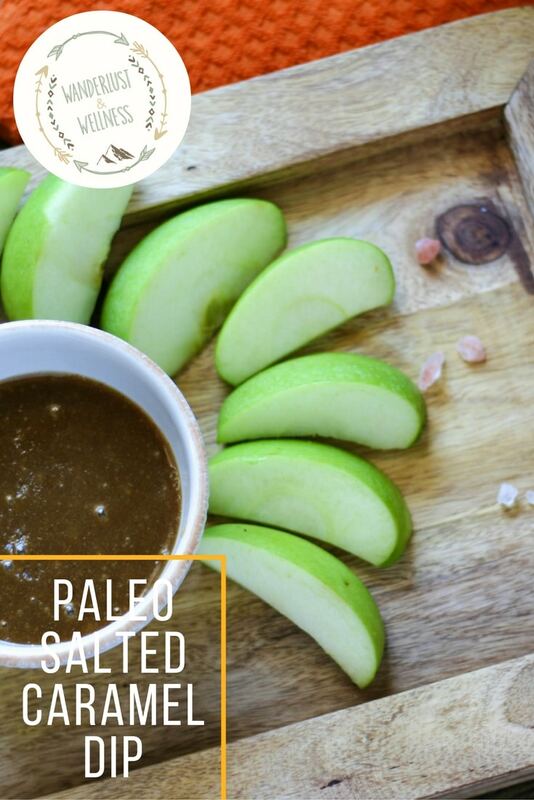 Salted caramel dip that’s Paleo friendly?? YES!! Today is September 1st so let the festival of apple and pumpkin recipes begin! For the rest of the month of September I’ll be sharing recipes that will get you in the mood for Fall. Let’s start with this oh. so. 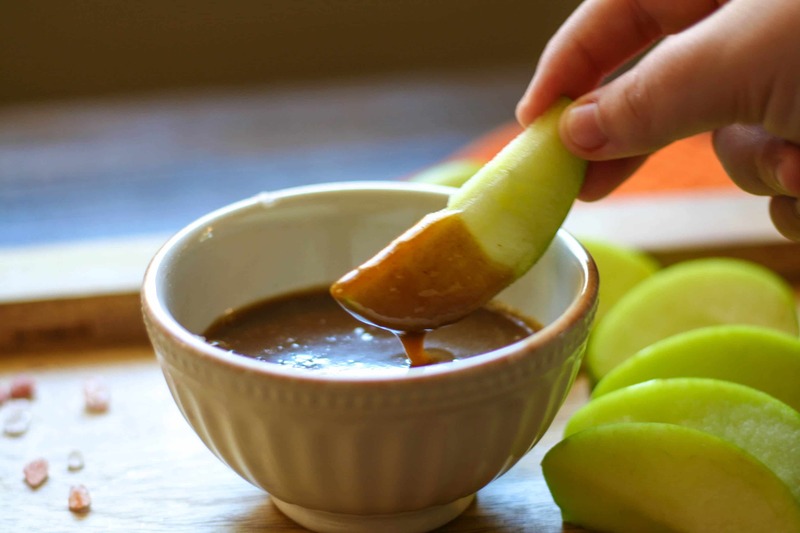 delicious salted caramel dip. I LOVE when I find recipes that I can use with my favorite sunflower butters. I’ve tried several brands, but my absolute favorite is Wild Friends. They have three sunflower butter combinations that are to. die. for. Especially if you’re a nut allergy person like myself. For this recipe I used the Organic Honey Sunflower Butter. 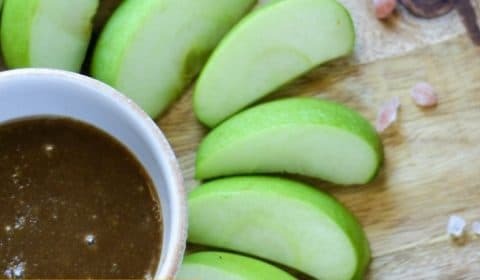 You wouldn’t believe this tastes like caramel dip but it does! And it’s super simple to make, only four ingredients away from making this Fall treat! Add the sunflower butter and honey into a small bowl and microwave on high for about 30 seconds. Stir together, it should be warm and easy to mix. Add in the coconut milk and vanilla, stir until well combined. Sprinkle with sea salt on top right before serving. Serve with fresh apples, bananas, or any other fruit you would like.